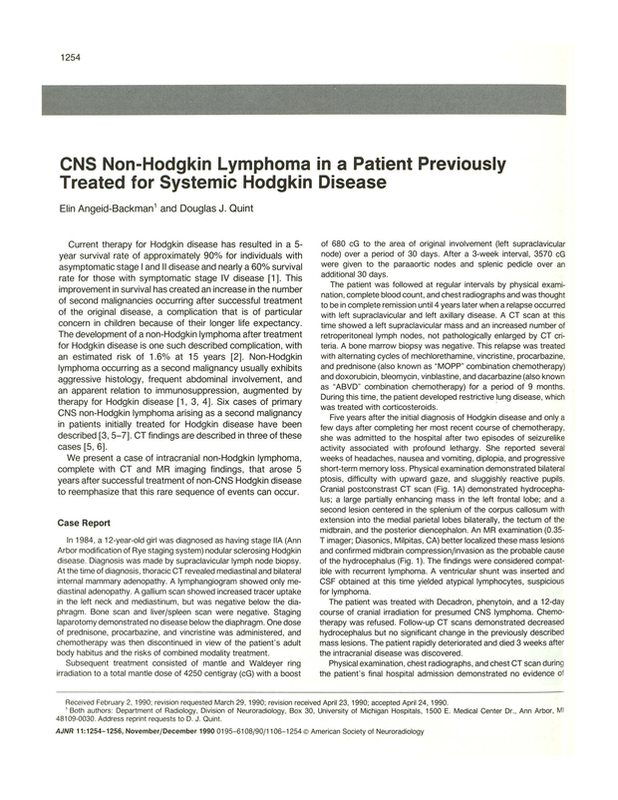 CNS non-Hodgkin lymphoma in a patient previously treated for systemic Hodgkin disease. Department of Radiology, University of Michigan Hospitals, Ann Arbor 48109-0030. You are going to email the following CNS non-Hodgkin lymphoma in a patient previously treated for systemic Hodgkin disease.